The connections between African states and citizens are commonly mediated - or disrupted - by various types of brokers. This panel will focus on the variations of brokerage arrangements in Africa and explore their impact on governance outcomes, political settlements, and democratization patterns. 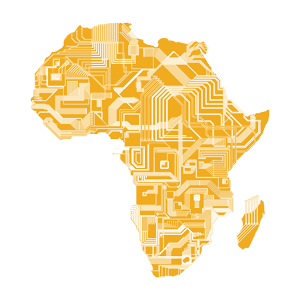 The connections between African states and their citizens have undergone tremendous disruption and transformation in recent decades. Although this relationship varies across the continent, a common pattern is that it has come to be mediated by various types of political brokers. This mediation can go both ways: for example, traditional chiefs can help their communities access public funds for community development; but they can also help state governments legitimise and implement their policy programmes. Political brokers include a wide range of actors, such as non-state authorities, private entrepreneurs, civic associations, and street-level bureaucrats. They can employ a variety of networks, from institutionalized political parties to informal and fluid personal connections. Governance research shows how brokerage plays a crucial role in shaping the real-life outcomes of government policies. Furthermore, over time, the nature of brokerage arrangements affects countries' trajectories of political settlement and democratic consolidation. Despite growing evidence of its impact, however, brokerage in Africa has rarely been studied comparatively. The aim of this panel is to analyze the variations of brokerage arrangements in Africa and to explore their impact on governance outcomes, political settlements, and democratization patterns. To what extent do brokerage arrangements vary in different settings? What causes these variations? Under what conditions does reliance on brokers constrain or strengthen the political agency of marginalised and powerful groups? And how do different brokerage arrangements affect political settlements and democratization trajectories? To address these questions this panel invites empirical (case-study or comparative) and theoretical papers on brokerage in African politics. Committeefication in Kenya: The Persistent Life of a Governance Structure: Bureaucracy, Mimicry, or Myth-Dream?